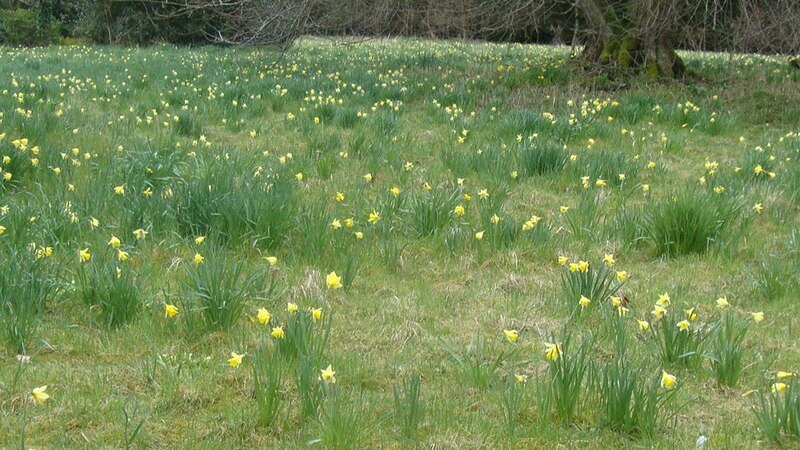 A wonderful display of daffodils seen whilst walking this weekend on the Oxford Way near Henley on Thames. It’s a joy to see the garden wake up after winter. Spring bulbs, tree blossom and flowering shrubs brighten up the days and bring freshness to the landscape. Here are some of my favourite plants for a spectacular spring show. Amelanchier lamarckii. A small tree or shrub with a huge cloud of white flowers. Carex evergold. An evergreen sedge with variegated leaves. Cyclamineus Toto. A dwarf Narcissus with up to three star shaped white flowers per stem. Cyclamineus Tete-a-Tete Popular dwarf Narcissus with dainty bright yellow flowers. Forsythia Lynwood. A bushy shrub with masses of bright yellow flowers on bare stems. Hamamelis mollis. Chinese witch hazel. Scented yellow flowers on bare stems. Iris reticulate. Bright blue miniature iris. Spring is one of the busiest times in the garden. This is the time to sow seeds, indoors and outside, and to make weeding a priority. Do the hard work now, relax and enjoy later. Want to see what Sue can do for you? 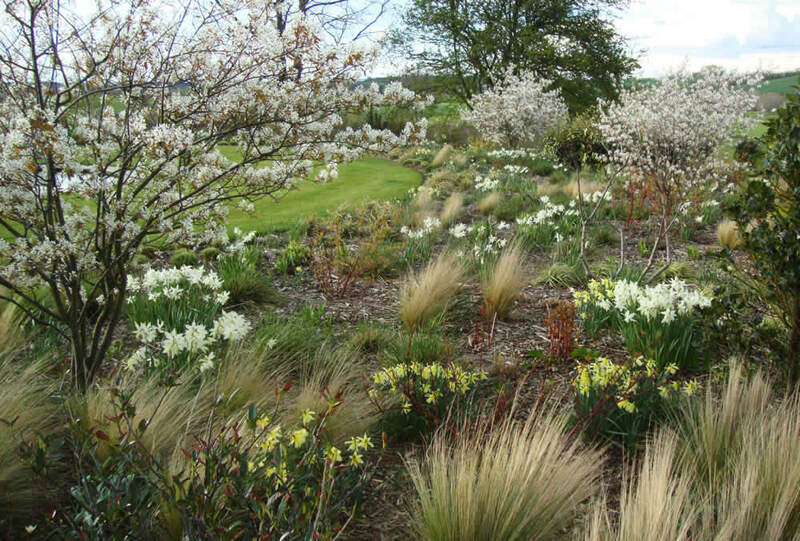 Take a look through her extensive garden and landscape design portfolio to find out. Hello, and welcome to Sue Adcock’s new site! Welcome to Sue’s brand new website! Feel free to browse the portfolio and be inspired by Sue’s creative landscape and garden designs. If you would like to work with Sue on crafting your beautiful garden, contact Sue Adcock. Thanks to TKStarley Website Design for designing and building the site.